Henry Da Massa is reunited with his daughter, Pearl, 7, who had been missing for three years after she was allegedly abducted by her mother. Pearl is now back in England with her dad, who had concentrated much of his search in Toronto after she was reportedly spotted here. She was eventually found in Montreal. A 7-year-old girl whose disappearance sparked a massive search on two continents has been reunited with her father. Pearl Gavaghan da Massa and her delighted father, Henry da Massa were on their way back to Manchester Monday, according to a report in the Manchester Evening News. “I’m elated. It was only when we got on the plane that I really knew we were coming home. It was the end of the mayhem and we could finally get back to normality,” he told the newspaper. Pearl was allegedly abducted three years ago from England and brought to Toronto. Her mother, Helen Gavaghan, was arrested in Montreal in connection with the investigation, Montreal police told the Star. An international search effort involving Toronto police, Child Find Ontario and international authorities, has been underway since the 2008 disappearance of Pearl and her mother. Da Massa and Gavaghan split up before Pearl was a year old, but he said things fell apart years later when the court issued a shared residence order, meaning Pearl would spend a lot more time with him. Gavaghan alleged da Massa was abusive, but Manchester authorities found those accusations to be unfounded. The U.K. High Court has ruled that Pearl’s removal was unlawful. Gavaghan and Pearl initially fled to Mexico, and arrived in Toronto in January 2009, where they became known as Dana and Belle Flaherty. Toronto police heard reports of the two living in Parkdale, but by the time they went to investigate the pair had moved on. When he heard reports of the sightings, da Massa left his job as a technology consultant in Manchester and moved to a basement apartment in East York to continue the search for his daughter. Da Massa remained in Toronto and searched for more than six months. He plastered the walls of his apartment with pictures and maps, and devoted his life to finding her. Da Massa and his daughter have years of lost time to catch up on. “Pearl was told she didn’t have a father. We’ve had to go back to where we were three years ago and get used to each other again,” he told the Manchester Evening News. 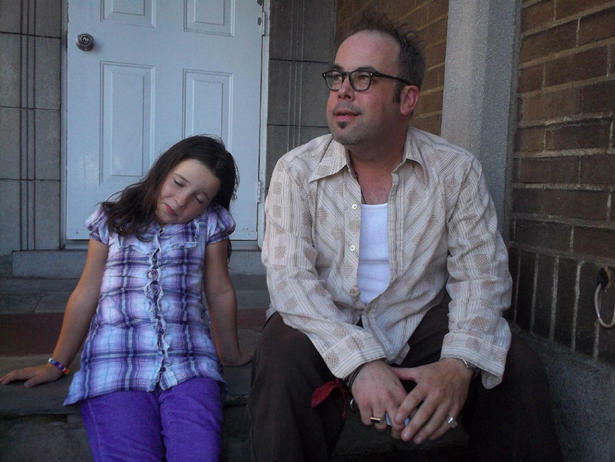 One year ago, the Star profiled Henry da Massa, who had been looking for his then 6-year-old daughter Pearl, below, for six months while living in a tiny East York apartment. Click here to read his story.